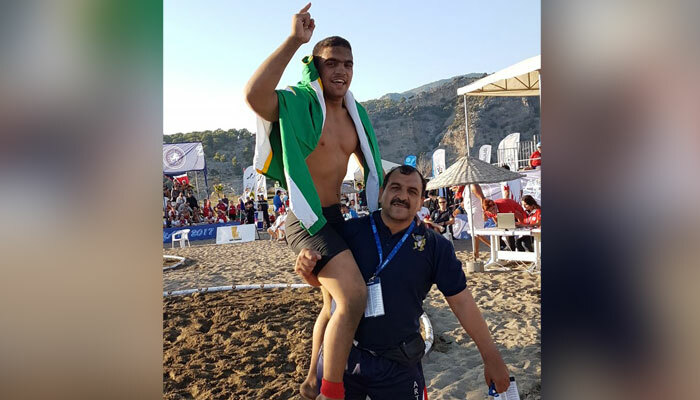 Yeah even I didn't know that there is such a thing as "beach wrestling" but just read the news that our player Inayatullah has beaten opponent from Iran to grab gold medal in World Beach Wrestling. He won it by 3-0 in freestyle 70KG cadet competition. In semi final he defeated Ahmed Farukh Uguz and in quarter final, he defeated Ibrahim Samil Ozak, both from Turkey. 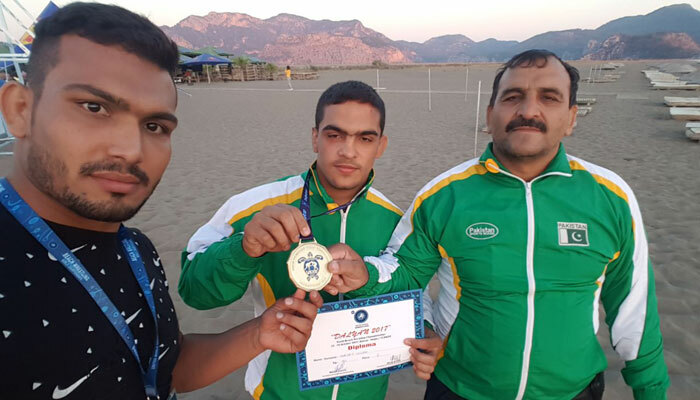 Inayatullah also won silver medal in Asian Cadet Championship earlier this year.